It’s really good to treat your hair with a good hair treatment or mask once a week or as often as you can, but it can be really expensive. 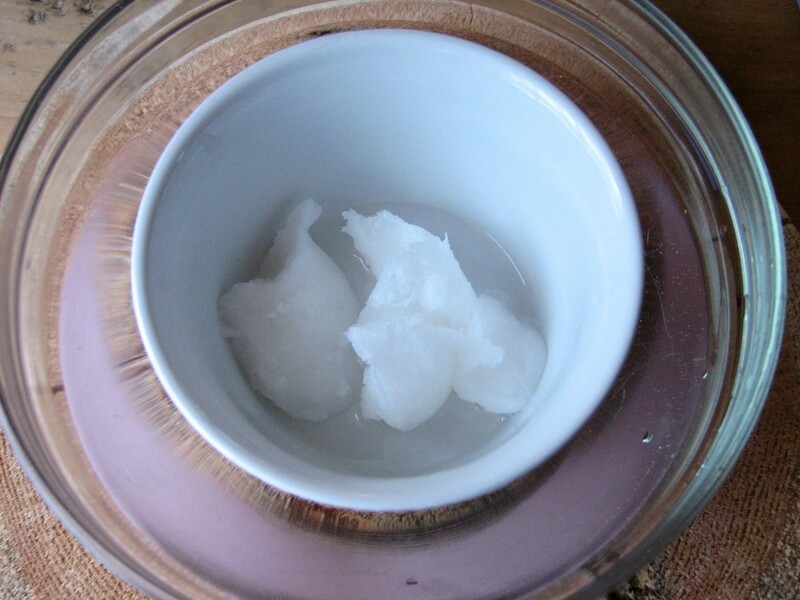 Well this Homemade Hair and Scalp Treatment is amazing for the hair and is not expensive at all. With just a few ingredients, you can have healthy and strong looking hair. Add the essential oils and give it a stir. Apply on hair and scalp. Put a shower cap on (you can use a plastic grocery bag that you tie with a clip). Leave the treatment in your hair for a minimum of 30 minutes. The longer you leave it in, the more it will condition and treat your hair. You can leave it overnight if you want. Wash and style your hair like you normally do (you will need to shampoo your hair twice in order to completely remove the oil). Treat your hair with this Homemade hair and scalp treatment once a week for healthy and amazing looking hair. This treatment not only gives you amazing looking hair, but it helps itchy and flaky scalp. Looks so easy to do. I have to convince my wife to try it – would save a ton of money also! I love this recipe. Not only is it good for you but I bet it smells amazing – almost like in your in the spa and getting a spa treatment! I love homemade beauty treatments!! This sound like it would be a good treatment for scalp. I have never tried using essentials oils. I have the feeling that this treatment smells nice. I swear by coconut oil for hair like this! It’s such an easy, cheap moisturizer. Never thought of adding the essential oils though– great touch! I would love to try this homemade hair and scalp treatment on myself. Right now my hair is really long and down to my waist and I am always looking for ways to better care for it. I’ve never tried to make my own, but it sounds so simple! I’m excited to give it a shot! Very cool! I am for sure trying this asap! This is what I need I’m sure of it! I have a problem with different scalp treatment and for sure this would be perfect to me.